By definition, vodka is a neutral grain spirit which has been distilled and filtered to remove the flavors of the base grain and its fermentation. When we “taste” most vodkas for review, the focus tends to lean more towards smoothness, mouthfeel and quality of distillation than flavor. 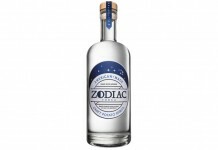 To make matters more complicated, many vodkas on the market come from the same source – industrial neutral grain alcohol (aka NGS) manufactured by companies like ADM. This base spirit, shipped throughout the country on rail cars, is often redistilled (sometimes not), filtered and then flavored. You’d be surprised just how many of the vodkas at your local liquor store all begin their journey from the very same factory. In this market awash in industrial NGS, it may seem like a luxury for a distiller to ferment their own grain to make vodka. Yet, when distillers begin with grain, they have a much different canvas on which to paint. 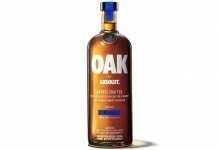 Many American distillers are using this opportunity to produce a style of vodka which isn’t completely neutral. 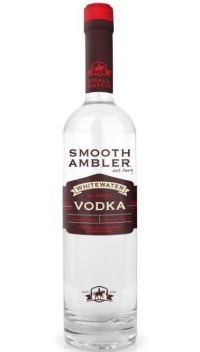 Working with the flavors in the grain, distillers like Smooth Ambler Spirits are producing vodka that is smooth and clean but with enough complexity and flavor that you’d actually consider sipping it on its own or on the rocks. 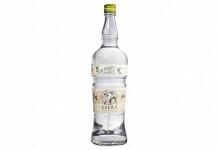 Smooth Ambler Spirits Whitewater Vodka (80 Proof) – From the moment you nose this vodka, you know you’re in for something different, with solid notes of pineapple, honey, green apple and confectioners sugar. The entry is very tropical with a distinct banana note that reminds us of bananas foster, accompanied by butter cream and caramel. There is also a nice subtle walnut and pecan undertone. The finish is cool and sweet with the slightest hint of heat. Smooth Ambler’s Vodka leaves your mouth cool and minty, a sign of quality distillation.